A set of 4 observation sheets to use while studying the Painted Lady Butterfly! One observation sheet each for the eggs, the caterpillar, the chrysalis, and the adult butterfly. 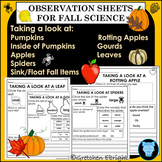 This is a set of Observation Sheets to go along with your Fall Science lessons. Your students will explore apples, rotting apples, pumpkins - inside and out, spiders, gourds, leaves and do a Sink and Float activity. 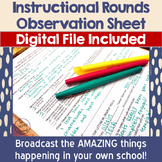 They will then record their observations on the printables included in this packet. A set of 4 observation sheets to use while studying the Frog! One observation sheet each for the eggs, the tadpole, the froglet, and the adult frog. Soil Sample Observation Sheet FREEBIE! 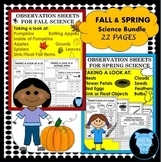 Observation Sheets - group observation & individual. I use these observation sheets in my classroom. I tend to use these during PBL (Play based Learning) or Experimental Play. Check out my website northernirelandteacher.com for examples of when I use these sheets. This bundle includes a 2-5th grade lesson plan for a pop bottle ecosystem lab. Also included is an observation sheet for students to observe the changes in their ecosystem. A set of 4 observation sheets to use while studying the Monarch Butterfly! One observation sheet each for the eggs, the caterpillar, the chrysalis, and the adult butterfly.